Will Microsoft & LinkedIn Spur a Content Buying Spree? 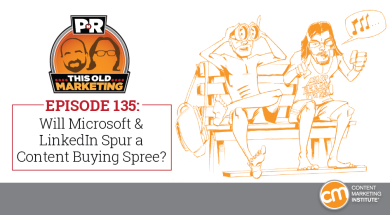 This Week in Content Marketing: Will Microsoft & LinkedIn Spur a Content Buying Spree? In this week’s episode, Robert and I discuss Microsoft’s purchase of LinkedIn and how every media outlet missed the most important angle. Next, we ponder a confusing article that slams native advertising in favor of a fuzzy concept called “debranding.” Finally, Facebook reach continues to plummet, according to a new study. We offer advice on how to reverse this trend. Rants and raves include the challenges and opportunities agencies face today and marketers who don’t seem to understand what content marketing is. This week’s This Old Marketing example: Computer magazine start-ups. Microsoft buys LinkedIn (11:04): LinkedIn has been acquired by Microsoft. In his announcement to employees, LinkedIn CEO Jeff Weiner emphasized that both companies have a common mission to empower people in organizations. LinkedIn will continue to operate independently, but customers will benefit from integrations of their complementary technologies. Robert points out that Microsoft has purchased one of the world’s top 60 media companies at a modest price compared to its large cash reserves – a low-risk bet. We believe Microsoft’s move could prompt other tech giants to follow suit. The future of branding is debranding (21:20): As digital media blunts the impact of advertising, brands are looking for new ways to lure consumers. The latest, buzziest effort has been to publish stories that look and feel journalistic. But this author views native advertising as a sham. What businesses need to do is “debrand” in favor of authentic experiences, according to this article from Fast Company’s Co.Design. Unfortunately, Robert points out, the author doesn’t do a very good job of making her argument. I agree that the article is confusing. Publisher reach on Facebook is down 42% (32:12): According to an analysis by SocialFlow, publishers on Facebook have experienced a rapid decline in overall reach during the past few months, reports AdWeek. Overall reach from January to May was down an average of 42% per post. One theory for this large drop is that Facebook may be tweaking its algorithm to provide the right balance of personal posts and ads. Robert and I offer an antidote: The correct response for brands is not to produce more content but less. Invest the time and effort to produce a smaller number of truly excellent pieces of content, which will spur engagement. GoToWebinar: Webinars are consistently rated as the No. 1 marketer tactic for lead generation with over 60% of all marketers utilizing webinars, but many businesses still struggle with how to find their target audience and deliver the right message. Following a simple five-step plan, the keys to using webinars for successful lead generation go from daunting to doable. 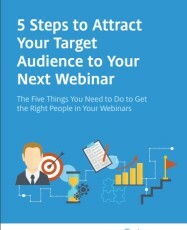 From finding your audience and developing engaging content to authentic interaction and webinar promotion, you’ll discover the “5 Steps to Attract Your Target Audience to Your Next Webinar.” Ready? Let’s do this! To read the e-book, visit http://cmi.media/pnr135. Robert’s rave: Robert loves two articles that describe the challenges (and potential synergies) publishers and agencies face today. Publishers have been getting better at offering marketing services and agencies need a lot of help becoming better publishers. This article from the Media Briefing describes how this relationship is evolving. A second article from Digiday claims that agencies often embrace new technology, even though they know it will fail on client projects. The common thread: Agencies need to figure out how to deal with disruptions and figure out how to turn them to their strategic advantage. Joe’s rant: During the last several weeks, I have helped to judge several categories in CMI’s Content Marketing Awards. It boggles my mind that there are still numerous brands and agencies that don’t seem to get the basic concepts of content marketing. I reviewed some excellent submissions, but also waded through a significant number that had nothing to do with content marketing. I share several examples (generically, of course). Computer magazine start-ups: Robert did some research into the computer magazines of the 1980s and discovered an interesting trend: A number of them started out as content marketing platforms, produced by computer manufacturers to help consumers understand their pioneering new products. Many of these publications were eventually acquired by publishers. For example, The Transactor magazine was started by Commodore Canada in 1978 as a mimeographed newsletter. It was acquired in 1982 and became an independent, advertiser-supported publication. Atari Age, launched in 1982, was delivered to all of the company’s Atari Club members. It was discontinued in 1984, after Warner Communications sold the consumer division of Atari. Dr. Dobb’s Journal, launched by entrepreneur Bob Albrecht in 1975, was the first microcomputer software publication. Eventually, it was sold to a commercial publisher, who produced it until 2014. 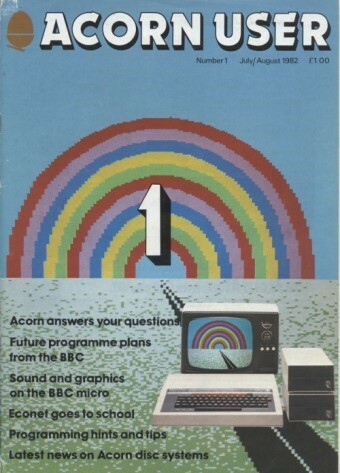 Acorn User magazine was founded by Acorn Computers in 1982. In 1984, Redwood Publishing took over production of it. After several different owners, it ceased publication in 2004. Today, we’re seeing the opposite trend: Brands are seeking publishers and blogs they can acquire to reach a larger audience and leverage their expertise and influence. These are excellent (geeky) examples of This Old Marketing.